I missed out on Glacier at the previous Big Event because of the infamous Wedding but the stars aligned this time around. Jenna’s mom was hosting a family get together on Saturday and, luckily for me, she lives about 10 minutes away from the Dutchess Marketplace — where Glacier was appearing! The signing was from 11-1 and I got there just before 12. If you’ve never been to this place, it’s a gigantic in-door flea market that sells everything you could imagine. Unfortunately, most of it is old crap that’s outlived its usefulness; however, you’ll occasionally find some diamonds in the rough. Anyways, I walked to the Collector’s Realm section and there was Glaicer in full gimmick and only a one person waiting in line. 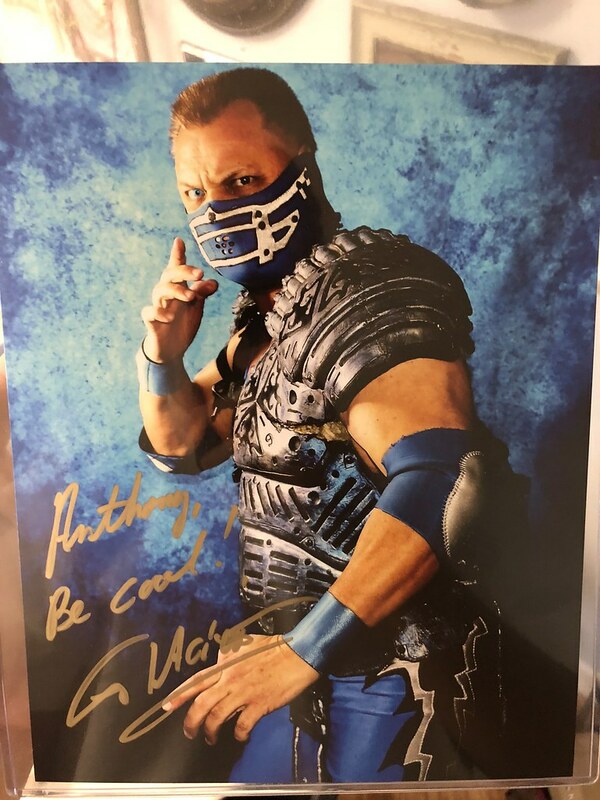 The combo was $15 and, I have to say, Glacier was probably one of the nicest wrestlers I’ve ever met. He showed me a photo on his phone of Goldberg getting him up in an airplane spin and the last convention they did together. 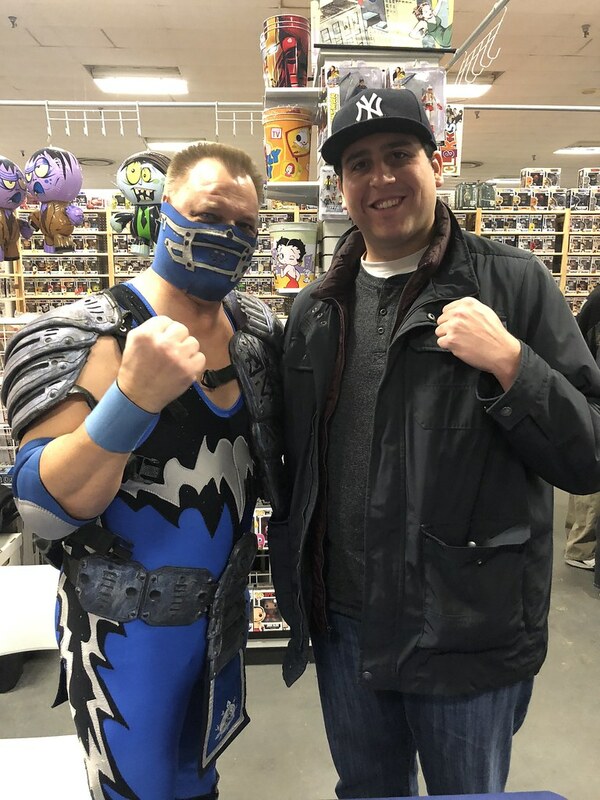 He took two photo ops with me: one without the mask and one with it. Awesome. 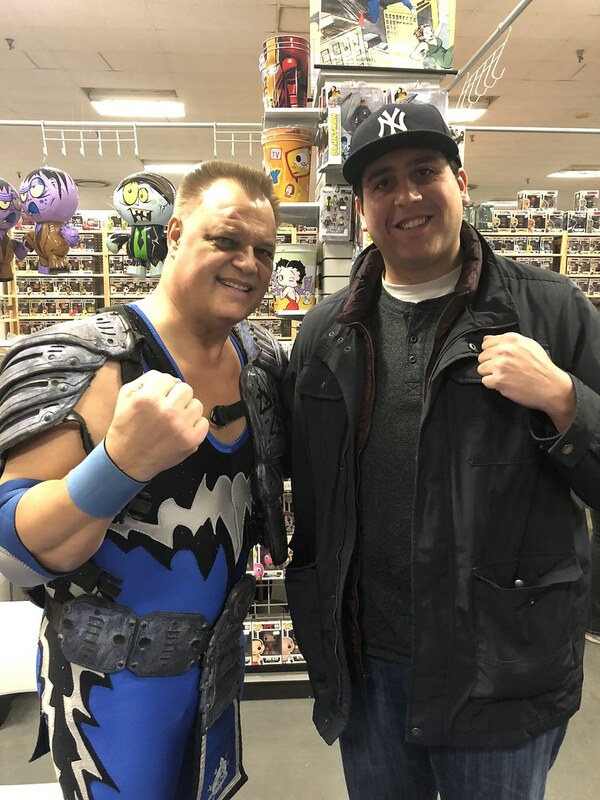 I overheard Glacier telling the fan in front of me that he’s not a fan of the current product, he hates that wrestling is a monopoly, he wasn’t a fan of the Attitude era and is happy wrestling is passed it, and thinks WWE needs some competition.